Aykroyd, Dan — Creative forces behind CBS’ legal drama The Defenders, which of course you’re watching because you can’t get enough of Jerry O’Connell and Jim Belushi, announced in a tweet yesterday that it would be introducing Dan Aykroyd would be reuniting “with Blues Brothers partner Jim Belushi” in an upcoming episode of the show. This breaking news means that means those of you who have been waiting for a Blues Brothers reunion will…still keep waiting for one, since John Belushi remains deceased. Cho, Margaret — The indie comedienne and former Dancing with the Stars contestant made a big splash when she wrote on her blog Monday that the only reason Bristol Palin joined the cast of Dancing with the Stars was because her politician mother forced her to do it as penance for getting pregnant and ruining Palin’s run at the vice presidency. You know, whenever I hear a crazy rumor like this, I always ask myself one simple question: is this news validated by comedienne Margaret Cho? If the answer is yes, I believe it. Gaga, Lady — As more information spills from the Wikileaks investigation which revealed a quarter million oft-controversial diplomatic cables by the State Department, Bradley Manning, the analyst blamed for leaking the documents, claimed he did so by bringing a Lady Gaga CD to work and lip-synching along to the Gaga hit “Telephone” as he erased the disc and replaced it with leaked documents. Manning admitted that getting the information onto the CD was the easy part; the hard part was sneaking it out of the building while wearing his meat dress. 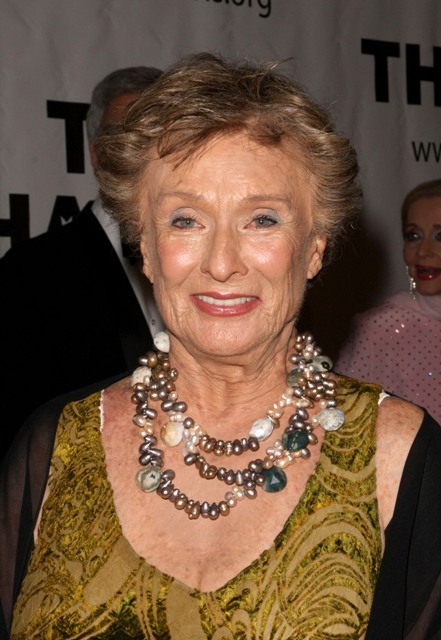 Leachman, Cloris — Several months ago, 84 year-old actress/comic Cloris Leachman made a jab at Betty White during an interview with the Television Critics Association wherein she quipped “I’m so sick of Betty White. Never liked her.” Now the 88 year-old White has retaliated when, asked about Leachman’s comment, White responded “Is she still conscious?” As this girl-on-girl fight grows more heated, I think we can all agree on one thing: please God, please don’t let there be mud or jello involved. Notice, Burn — The USA Network has announced that a two-hour prequel movie to USA’s series Burn Notice will air sometime in 2011. This is sure to thrill the thousands of imaginary people — none of whom you’ve ever actually met in person — who apparently love Burn Notice so much. Peaks, Twin — Last night’s episode of the detective comedy Psyche paid homage to David Lynch’s trippy, surreal drama Twin Peaks by reuniting the latter’s cast members Sheryl Lee, Sherilyn Fenn, Ray Wise and others in a casting stunt clearly born by a television executive who thinks there’s fan crossover between Twin Peaks and Psyche. Not to be outdone, CBS plans to reunite the cast of the BBC’s 1981 serial Brideshead Revisited in an upcoming episode of $#*! My Dad Says. Police Department, Pittsburgh — Police detectives in Pittsburgh spent over eight hours of overtime investigating a hotel room crime scene which police chief J.R. Blyth called “the most grisly murder scene in his 35 years of law enforcement” before realizing it was a movie set from a 2008 film starring the late Corey Haim. Upon realizing their mistake, law enforcement units went back to investigating alleged acts of piracy and theft by the city’s baseball and football teams, respectively.